With its diverse natural and cultural beauty, West Sumatra is now focusing on promoting its natural and cultural attractions in order to boost tourism in the province. The natural beauty of West Sumatra, with its green landscapes, attracts both foreign and domestic tourists to the province. Speaking at a seminar entitled "Sport Tourism Regulation and Opportunity to Optimize Regional Tourism Potential" in Jakarta on December 21, West Sumatra Governor Irwan Prayitno said he would promote forest tourism in Anai Valley. "We have the potential to develop forest tourism in places like Anai Valley, which can be promoted as a natural tourism destination in West Sumatra," he noted. The valley also has three waterfalls, a river and a lake with clear blue water for the tourists to enjoy. 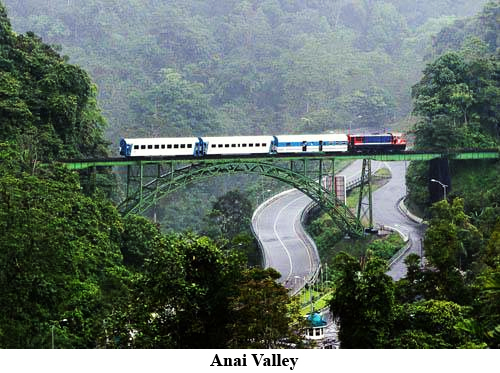 "Situated near the road connecting Padang and Bukitinggi cities, Anai Valley is one of the top tourist destinations in West Sumatra. Since the Dutch colonial era, the valley has been a nature conservation area, spread over 221 hectares," the governor said. He noted that the local government has improved the supporting infrastructure there in order for visitors to engage in sports tourism activities. "Therefore, the tourists can swim in the river and the lake, bathe under the waterfalls, or go hiking," Irwan continued. Earlier, in the provincial city of Padang in June this year, the governor said the government would also focus on promoting and developing the cultural sites of Minangkabau ethnic community, as part of its efforts to promote tourism in West Sumatra. At the time, he noted that the cultural sites of Minangkabau had immense potential to attract domestic and foreign tourists. "The cultural sites of Minangkabau that will be developed include the areas of Siguntur Kingdo in Dharmasraya district and Minangkabau village in Balai Baliki. We will also focus on agro-tourism," Irwan said. However, he pointed out that the natural tourism attractions in the province would still need to be developed, especially those that were popular among the tourists. "Popular spots such as Kembar lake in Solok district and Harau Valley in Limah-Pulu Kota district must be equipped with the necessary infrastructure and good quality services," Irwan said. However, the Governor noted that other tourism attractions in the region had not yet been fully integrated with Minangkabau, which had the potential to attract tourists from all over the world. "The tourism sector has not reached its full potential. The promotion and management of tourism in the area is yet to be optimized," he added. Last month, Irwan said the West Sumatra provincial government was committed to promoting the regional tourism industry through various efforts, including our cooperation with taxi transport services in Singapore for promotional activities. "The West Sumatra Tourism Office will put stickers on taxis in Singapore to promote tourism in the province," he stated. According to Irwan, the main objective of the effort is to promote West Sumatra as an international tourism destination. "The budget for tourism promotion was set at Rp200 million this year. However, next year, the budget will go up to almost Rp800 million," he pointed out. 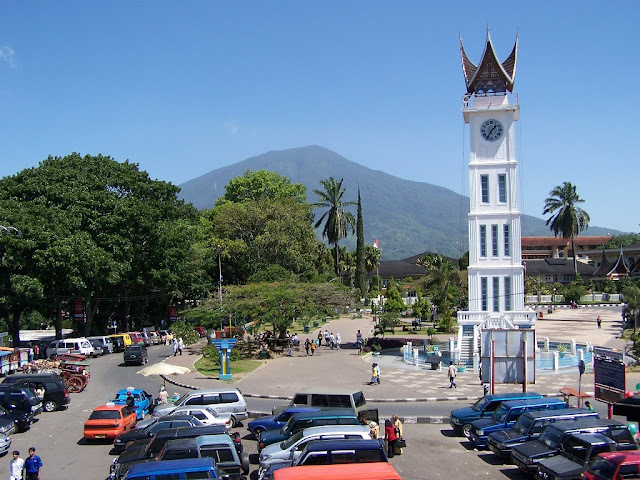 Meanwhile, the West Sumatra Cultural and Tourism office declared Bukittinggi city as a tourism development centre in the province, covering the districts of Agam, Tanah Datar, Pasaman and Pasaman Barat. West Sumatra Cultural and Tourism office head James Hellyward said the decision was in line with the government`s master plan on regional tourism development in West Sumatra. "As a tourism development centre for West Sumatra, Bukittinggi will feature various attractions such as recreational centres, centres of scientific development, convention facilities, culinary centres, healthcare facilities and outbound activities," he stated. According to Hellyward, Bukittinggi will also serve as a tourism promotion centre for Agam, Lima-Puluh Kota, Tanah Datar and Pasaman, which offer many natural and cultural tourist attractions. "Agam district is developing and promoting its Mutiara Tiku beaches, using the locations in the corridor linking Bukittinggi, Lake Maninjau, Pariaman and Padang cities," he noted. "Tanah Datar, especially Nagari Pandai Sikek, is developing its handicraft centres, using the corridor through Padang, Pandai Sikek and Bukittinggi," Hellyward continued. "Pasaman district is developing the Rimbo Panti and Tugu Khatulistiwa areas, with focus on cultural tourism," he said.